In the August 2017 Journal we referred to the “recently approved” Planning Proposal for the Gladesville Shopping Village (GSV) site. Steve Kourepis, Hunters Hill Council’s Group Manager, Development and Regulatory Control has written to The Trust taking issue with the use of the word “approved”. We agree that this needs clarification as it could be misconstrued that there is an approved scheme ready to be built on the GSV site or that changes to the Local Environment Plan (LEP) have been approved. This is not the case because the planning proposal has not yet been exhibited. The Pre-Gateway Review Panel, consisting of John Roseth (Chair), Clare Brown, Greg Patch and Sue Hoopmann, has examined the GSV Planning Proposal and given it the green light to proceed to “Gateway Determination” with a number of provisos. That is, they have given the proponent approval to go to the next stage of the planning process. It should be noted that Council’s role in the process is considerably reduced. When it comes to the assessment of larger scale projects the real decision making is now effectively in the hands of the Department of Planning (DoP). 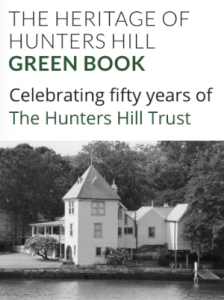 This Panel was asked by the DoP to review the GSV proposal to amend a number of planning controls set out in the Hunters Hill Local Environment Plan (LEP). These amendments will increase the maximum permissible building height and the Floor Space Ratio (FSR) for the site. This would allow a much denser development and a substantial increase in the population and will have a negative flow-on impact on the surrounding area with increased traffic and parking problems. This is clearly not a good result for the local community. The reason for the Pre-Gateway Review was because Hunters Hill Council did not support their request to prepare a Planning Proposal to change the LEP. The unanimous Panel recommendation was to “request further information from the proponent”. As well, the Panel noted that it considers the proposal to have strategic merit, but that some of its site-specific aspects need adjustment. demonstrate consistency with the draft North District Plan, released on 21 November 2016. Prior to community consultation, the revised planning proposal is to be provided to the DoP for review and approval for public exhibition. the relevant planning authority must comply with the notice requirements for public exhibition of planning proposals and the specifications for material that must be made publicly available along with planning proposals as identified in section 5.5.2 of A Guide to Preparing LEPs (DoP 2016). Each public authority is to be provided with a copy of the planning proposal and any relevant supporting material, and given at least 21 days to comment on the proposal. A public hearing is not required to be held into the matter by any person or body under section 56(2) of the Act. This does not discharge the Council from any obligation it may otherwise have to conduct a public hearing (for example, in response to a submission or if reclassifying land). The timeframe for completing the LEP is to be 12 months from the week following the Gateway determination. A report by Philippa Hayes was considered at the ordinary council meeting of 11 December 2017 (see Council’s website for full details). Council resolved to provide a public information session about the post-Gateway amended Planning Proposal prior to its exhibition. The session will be held in early February 2018. Notification will be posted on Council’s webpage. Adjoining residents and stakeholders will be notified by post/email. Residents and other interested parties expecting to see a concrete proposal from the Developer will be disappointed. The only matters to be discussed at this “session” will be an explanation of the Planning Proposal. Due to the nature of the Gateway Determination, to which council must adhere, the PP now only involves the addition of two clauses to the LEP, which are specifically related to the GSV site and came out of the pre-Gateway resolution. No concrete proposal with buildings, roads, public spaces etc. will be available at this time. The two clauses relate to “Special Provisions” and “Design Excellence”. The existing FSR and maximum heights in the existing LEP will not be changed. Instead, these two clauses will be added so that a “bonus” increase in FSR and height can be considered for the GSV site if the proposal satisfies these clauses. Gladesville Reserve, near Huntleys Point Wharf (Crown Land) for a Café/Restaurant. Council also said they would welcome other suggestions for a new location for the cottage. The Trust has criticised Council for selling off its own heritage. In our opinion, the sale of 10 Cowell St was a missed opportunity. Its retention in situ would have had a positive impact on the development of the site. Now Council is offering up public parkland to the developer as possible sites for the relocation of the building. We believe this massively compounds the original error and will result in a huge backlash from the community about alienating public land. Suffice it to say, a concrete proposal for buildings, car-parking, open space etc. on Gladesville Shopping Village site is many months away. Tagged GSV. Bookmark permalink. Post a comment.